Tires are looking rather cracked. 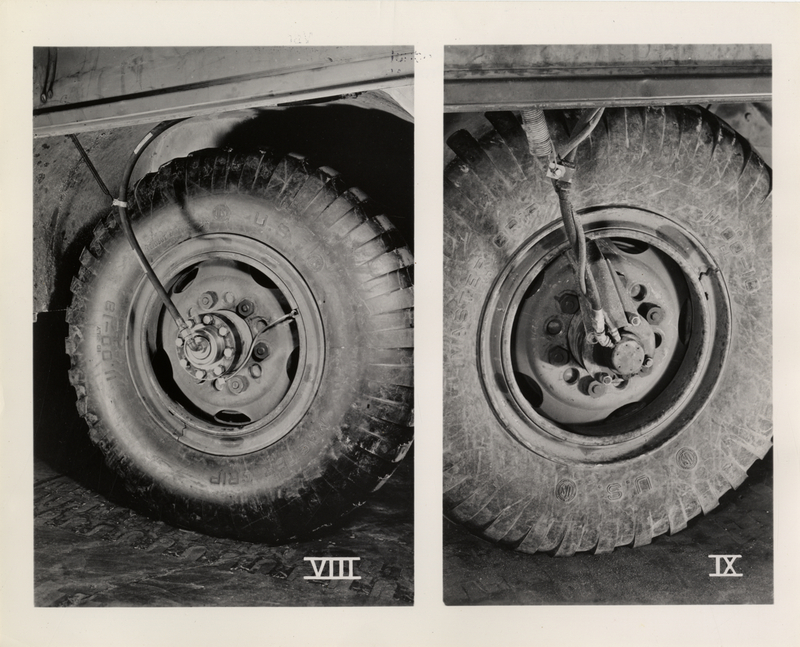 What is the best fit tires for the standard 1945 DUKW rim? I see Coker has a set and in working with them before they seem to be a good supplier. I read some prior posts where getting tires on and off can be problematic. Wade Wallace in Texas was making/selling sets a few years back, may still be doing so. 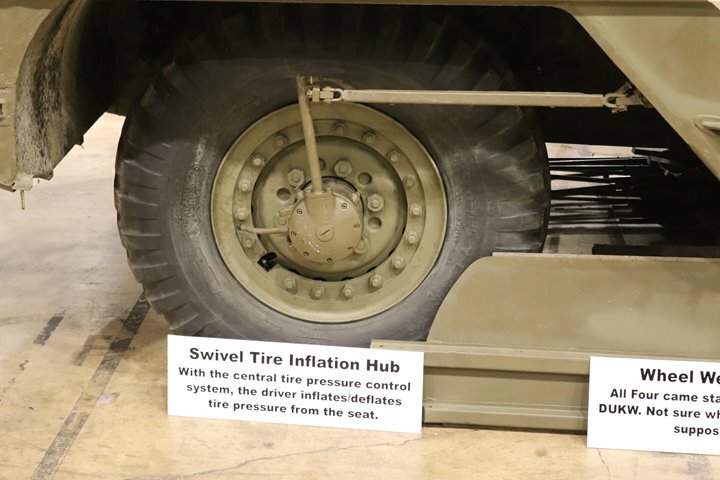 I have a bunch of Gamma Goat tires I bought years ago to go on mine eventually, I always wondered why a 9:00 x 20 from say a Deuce wouldn't work, Perhaps with combat rims from a 5T 921 truck for example so you could still use the CTIS with the large rubber bead locking insert. Wallace Wade is no longer in business. I think Coker has 11:00 X 18 tires on ebay. 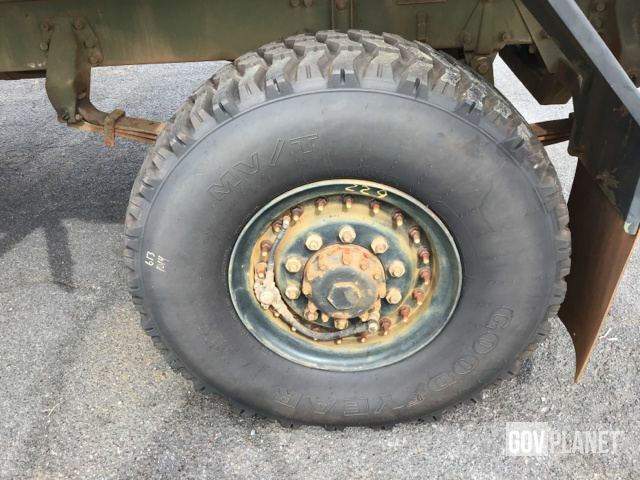 Gamma Goat tires will work on DUKW rims. I have them on the front of my DUKW. Warning about Gamma Goat tires. I bought some from the people in Chicago that were "new" but very old. Looked great until I inflated them, then had a lot of cracking in the sidewalls. I still ran them on the rear for 6 years, with fingers crossed, but bought new Coker for the front. Once you pay for shipping ($$), tubes and flaps($), taking them off and mounting ($) your not saving much buying them. I'll second the warning about the Gama Goat tires. I bought a set of newly retreaded Goat tires a few years ago. By the time I got around to mounting them, it would have been too late to return them, even if the dealer was still in business. They looked fine until I inflated them, then some really scary sidewall cracks opened up. I bought new Coker tires to replace them. I'll be mounting them as soon as the weather warms up enough to work in my shop. I hope they'll be better. I thought of using either M135 or M211 wheels with 20" tires. The bolt pattern is the same and the tires are cheaper, even if I don't have enough wheels with good used tires. But the offset isn't quite the same. I'm not sure if there's enough difference to matter, and whether 211 or 135 wheels would be better (They have different offsets). I have 135 wheels on the front of the DUKW now to allow me to move it while I wait to get the right tires on, and they don't look out of place. The rears would have to have a second set of 6 holes drilled to clear the nuts that hold the wheel adapters on. It just seemed easier (though more expensive) to buy the right tires. If I hadn't just had a set of DUKW wheels sandblasted and painted, I would have been more tempted to drill the M-series wheels to fit. It looks like a spare adapter would serve as a template to drill the holes, but I'm not sure my drill press would be up to drilling such big holes. It's also been suggested to use duals on the rear, which would eliminate the need for the adapters and therefore the need for the extra holes in the wheels. I haven't tried it, but they look like they'd fit. They'd definitely look wrong, though. Also, buying ten 20" tires would cost as much as six 18" if I couldn't find enough used tires that were fit to use. M800 series (formerly M54) 5T used a ten bolt split rim, the M900 1st series also had split rims, the M900 A2's used 10 bolt Combat rim (both in 20", differing widths) (And MRAPS and LTMV's) but thee later series all seem to be singles without a capability of duals, therefore holes would have to be enlarged. hence my question on possibility. 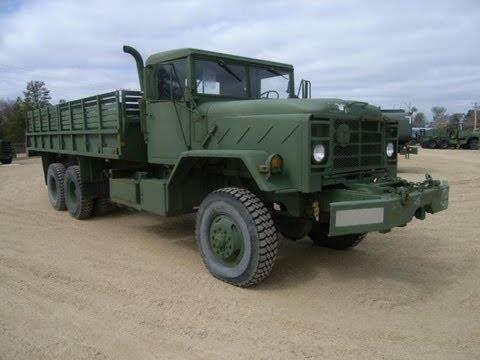 So if I wanted a more modern upgrade, 9:00 x 20 tires (rubber) from M35 Deuce with splits from M54, M800, M900 basic truck or upgrade to Combat rims with M900A2 /MRAP or LMTV series era but truthfully they may have to be carved down on a lathe and rewelded to 9:00 tire width, which isn't an impossible task for even a small machine shop. This is good information. I don’t mean to hijack the thread. I am working on a prewar truck with difficult to find wheels. If I am unable to find correct original type wheels, I am considering the possibility of apadting M211 or M135 wheels. I would need M211 or M135 wheels that will still have the wheel centers riveted to the rims to give an appropriate look. M35 series wheels have a welded construction. CCKW wheels are too narrow and have the wrong backspacing. Does anyone know the dimensions (rim width and backspacing) of M211 and M135 wheels?